German tuner DMC, famous for designing outrageous body kits for Lamborghini models, already revealed its intentions of building an ever hotter version of the freshly unveiled Lamborghini Huracan LP610-4. Of course, DMC are no strangers to anticipating things as they revealed months ago that they are working on a LaFerrari FXXR even before the deliveries of the Italian hypercar have started. 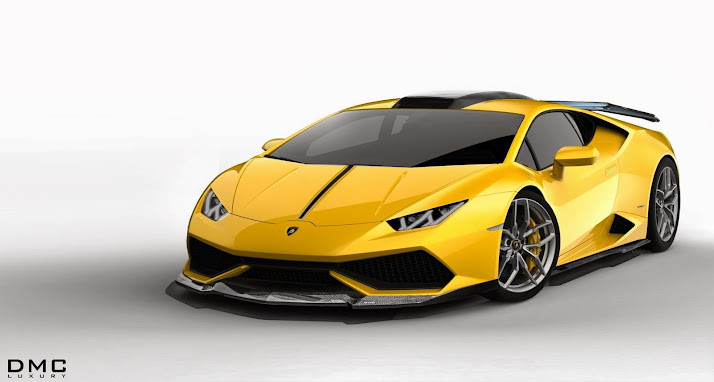 Dubbed DMC Huracan "AFFARI", the car features a visible carbon body kit that includes a front splitter, side skirts, a roof scoop, a rear spoiler and possibly a modified rear bumper as well. Expect the model to appear next spring right after the first deliveries of the Huracan.